This is a short report from this year’s family vacation, with three short intermissions for some birding time. The report aims to provide details to help others in two ways: by outlining experiences at an ‘unseasonal’ time to bird this area (early May); and by giving detailed driving descriptions to the sites visited. Thre are site shots, but are no glamour photos of birds, as these can be found in many other places. I took three local half-day trips from Puerto Vallarta, each starting before dawn to maximize daylight: the high elevation La Bufa (San Sebastian del Oeste); Rancho Primavera (El Tuito); and the road to Bioto. Each turned out, for their own reasons, to be excellent birding locations. 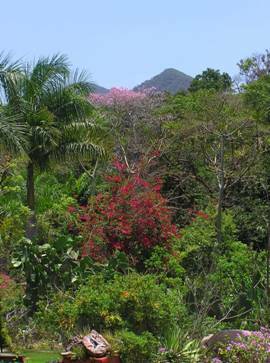 Of primary interest due to its altitude in this region of Western Mexico, La Bufa is a mountain of 2411m (7910ft) asl, reached from the small settlement of San Sebastian del Oeste. The town itself sits at 1400m, and is surrounded by dry thicket, scattered deciduous mixed forest and agricultural and ranch lands, which provide a completely different birding opportunity to the mountain and its environs. Detailed directions: take the ‘Carratera a Las Palmas’ signed to Mascota and Guadalajara, most easily reached by following the signs to Ixtapa from the airport. It starts as a fast two-lane highway, busy at most times of the day and night. However, once clear of the PV area it narrows to single lane. To reach San Sebastian, add on about 15 minutes’ drive-time to what you might expect from maps because of the regular, and numerous, ‘topes’ (sometime quite vicious speed-slowing road bumps). After approx. 50 mins from PV Airport, drive slowly through the small village of La Estancia; there are two clearly signed exits to San Sebastian to the left. The second was the most practical. As soon as the road begins to leave the houses (about 400 metres) you will reach an apparent ‘T’ junction – go left. It is not signed. At the next junction of any note which is a narrow fork, stay on the upper (right) road, which is almost straight on. It is then only 10 mins or so the old town of San Sebastian del Oeste, which has become a tourist attraction in its own right over the last few years. Reach the main square – you won’t miss it as there is only one road in – then skirt the plaza to the left, taking the narrow cobbled road out. I don’t recall any signposts, but it’s the road headed due east. Due to the width and condition of the road, it will take you about a minute to reach the first fork, where you take the left. That junction was not signed to ‘La Bufa’ on my visit. 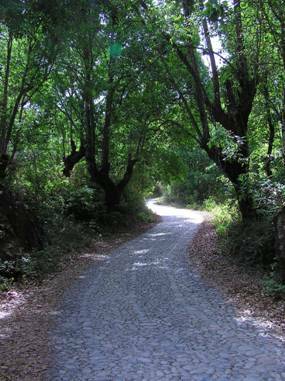 Head along this twisty track for several kilometres and you will arrive at the sharp switchback which is clearly signed to to La Bufa. Take a deep breath, and ensure both hands are on the wheel – you are going to need them for the climb. Whilst the road is in good condition, it can be patchy, and it is steep, with some very tight switchbacks. In wet conditions it is also slippery. To negotiate one’s way to the top, expect to be in first gear/5kmph for some of the ride, allow a decent 20 minutes. It isn’t challenging, more that it requires total concentration and some deft wheelwork. By this time you will be in partly open pine and oak forest, and when I visited, in early May, it was distinctly chilly (about 8 degrees) by 7.30am. Having ‘raced’ to the peak, I began a slow descent by driving a few hundred metres, and then walking a distance from the car at regular intervals. Nothing moved at all from the first half hour or so from daybreak, although the haunting call of the Brown-backed Solitaire was a constant. My first sighting in the grey light was a Hepatic Tanager pair, soon followed by what would become a regular on the hill, the attractive and entertaining low-foraging Slate-throated Redstart. The Solitaire itself was enigmatic, and never came close, even though its call suggested that at least one was tracking me, resulting in a rapid flyover. The change in the location of its vocal was mostly what I had to go by for ID as its general size and shape was also that of other probable ssp. thrush/tanagers. A slow descent could take up most of a morning, so if you are planning a secondary site visit you’ll need to give up at least 4 hours to this cerro. Arizona Woodpecker, Grace’s Warbler, Black-headed Siskin and Rufous-capped Warbler all put in brief appearances over the next two hours (to approx. half-way down the road), but it was never what you would term frenetic birding. As I dropped down below 2000m the canopy lowered and filled out and the understory thickened, introducing Rufous-capped and Green-striped Brushfinch, White-throated Thrush, Golden-browed Warbler and a very vocal, but cagey, Blue Mockingbird. Hummers were quiet, as might be expected this early in the year, but I added Magnificent, Broad-billed and Amethyst-throated as I got lower and more flowering plants and trees became apparent. I could easily have spent more time on this hill, and I believe that different weather conditions (e.g. warmer, with less cloudy skies) would have produced different results. I spent four hours coming down the mountain. past the gates of the clearly-marked Hacienda Jalisco. Now at mid-day, even at this elevation in early May the temperature was in the mid-twenties and heading higher. In total contrast to the mountain, which had been solemn and eerily quiet, the field borders and tangled thickets along the roadside were alive with movement and sound. Chief culprit was, not surprisingly, Greyish Saltator, in the company of much quieter but very active Grey Silky-flycatcher and omni-present Rufous-backed Thrush. Notables included Rusty-crowned Ground-sparrow and Golden Vireo, although I only had 30 minutes in this area. Once the friendly folk at the Hacienda saw me on the roadside they immediately invited me to bird inside their gates. Wish I’d had time to take them up on the offer. Access to the ranch should be agreed beforehand: bonnie@ranchoprimaveramexico.com or bonniejauregui@gmail.com. The owner is very accommodating and will generally encourage your visit even if you are not able to stay at her hacienda. …which wasn’t obviously signed to anywhere that I could see. In one minute you will have left the built up area (and cemetery) behind you. Keep on this very good road (the cobbles soon make way for blacktop) for another 3-4km. The sign to the ranch is small and at low-level – you would easily miss it if it was dark. It’s red and hand-made, at the end of an unpaved and un-gated track. I checked in at the hacienda first out of courtesy, even though the pre-approved protocol could be to start wandering the extensive grounds immediately. Bonnie furnished me with a map, and there would have been coffee too if I hadn’t been so keen to explore. The site is large, but could easily be covered in a day. Part is still grazed, more is under various formats of agriculture (corn ploughs, for example); there is open ground, and dense tropical semi-deciduous woodland as well as some permanent water sources. As Bonnie has made some considerable effort to return the land to its natural state – a practice that has apparently not always been met with universal acclamation by her neighbors – I can only image how rich in birdlife this location must be at other times of the year. Notable for early May included Elegant and Citreoline Trogon, San Blas Jay, Long-tailed Hermit, Mexican Woodnymph, Plain-capped Starthroat, White-throated Flycatcher, and the species that the ranch has become known for as a reliable target: the secretive Rosy Thrush-tanager. A site I first heard about from the blog of two traveling birders who were picking up some audio for the Macaulay Library at the Cornell Lab of Ornithology (see short-link for details: http://bit.ly/1vzU4Os) is the dirt road leading to the tiny settlement of Bioto. 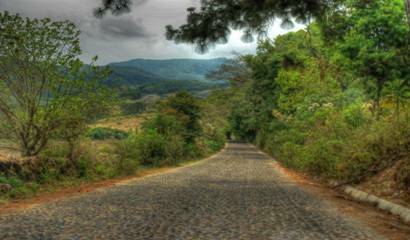 It is reached from the paved highway running between El Tuito and Tehuamixtle. Not knowing with any degree of intimacy the rest of the region, I cannot vouch that this site is spectacular for any particular reason, other than being a good location for Red-breasted Chat and Orange-breasted Bunting. 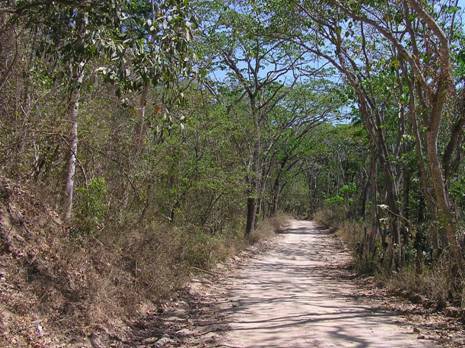 However, the forest appears well established and undisturbed, and the road is incredibly quiet, both factors which lead me to recommend it to others. 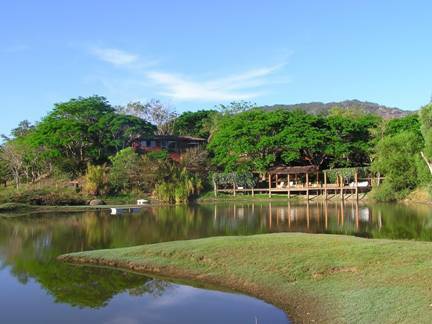 Arriving from the north (Puerto Vallarta), take the exit into El Tuito as for Rancho Primavera as above. This time, when you see the church in the centre of town, take the first left immediately after it. Continue straight on this road as it leads you out of town to the south. 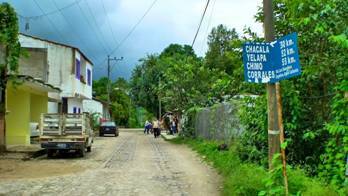 Once the cobbles give way to blacktop, it becomes a well-surfaced road, signed to the coastal town of Tehuamixtle. 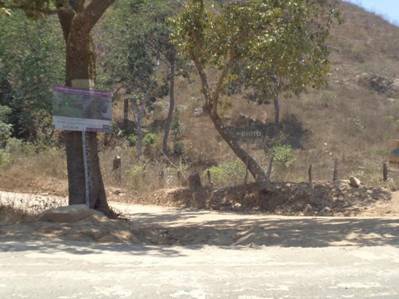 There will be no reference to ‘Bioto’ on any signposts in El Tuito. It’s approx. 7.8km from the edge El Tuito to the junction of the track, sign-posted once, at the entrance, as below. I arrived at dawn plus 45 mins, and good birding began almost immediately, with Military Macaw and Lilac-crowned Parrot above and numerous Yellow-winged Cacique and trogon of both species calling from the canopy. The road continues for many kilometres, passing hardly any human settlement. I didn’t make it to the end, but could easily have spent a whole day in the vicinity if I had had the time. Highlights included Sinaloa Wren, Golden-browed Vireo, Happy Wren, Olive Sparrow, Scrub Euphonia, Blue Bunting and White-throated Magpie-Jay.